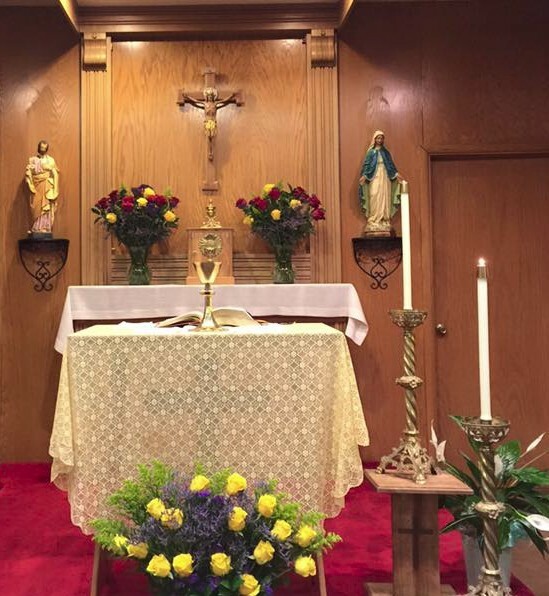 We invite you to join us for Holy Mass celebration every Monday from 9:15 a.m. to 10:15 a.m. The Corpus Christi Chapel is in the main building. You are also most welcome at other times (9:00 a.m. to 4:00 p.m., Monday - Friday) to spend time in prayer and meaningful solitude. If you would like to memorialize or honor someone you love with a donation, your loved one's name is placed in a special box on the altar in our chapel. Click here to download our Mail-In Donation form. Fill out the form and include your Memorial/Honor information in the appropriate place.